Welcome to the Tenerife directory, one of the most complete in Tenerife, constantly updated and checked. 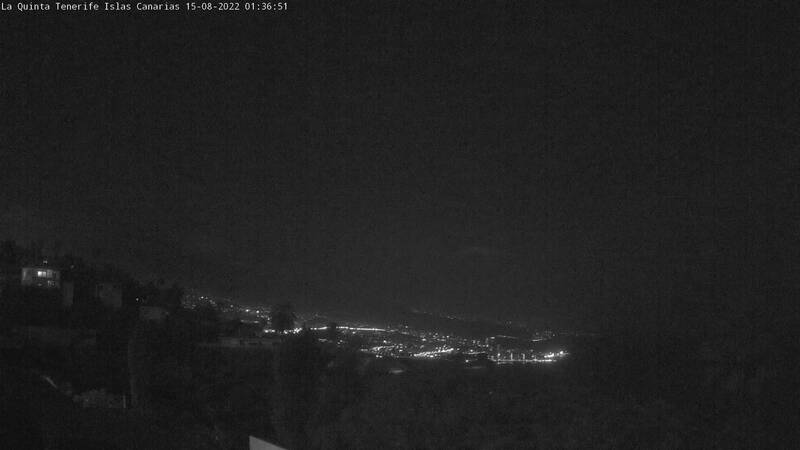 All these fixed, outdoor webcams are located on Tenerife, Canary Islands. The cameras are intended to be weather webcams. If you have broad-band you may want to watch live streaming at the middle of this page. View of Santa Cruz de Tenerife from the rotator. Taco, Gran Canaria island and Birmagen Mountain. Camera located in the Night Sky building. Camera attached to the outside of the ESA building. Vilaflor (Tenerife South), the highest borough in Spain. It uses Windows Media Player.